Nina: Hi Nana. 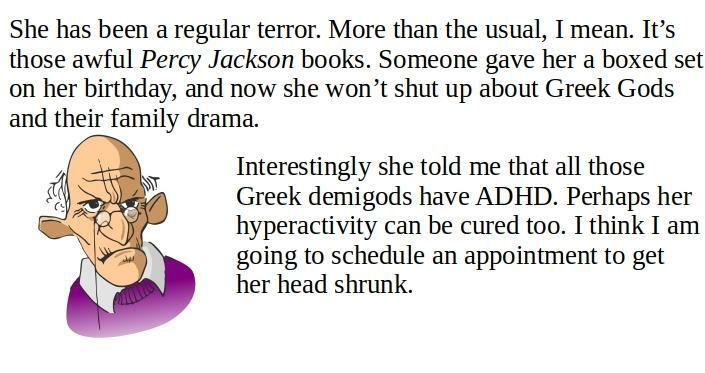 I’m loving the Percy Jackson books, and particularly how Martha and George quibble. Just like us Nana. Nana: Who are Martha and George? Aren’t they the weird couple in Who’s Afraid Of Virginia Woolf? Nina: Oh that’s who they are named after. May be. Or may be they are names after George and Martha Washington. Hmm.. something to think about. Anyway they are the two snakes on the caduceus that Hermes carries, according to Rick Riordan in the Percy Jackson books..
Nana: The symbol you see in hospitals? That’s weird. Isn’t Hermes the god of thieves, traders and travelers? Why would his caduceus be used in hospitals? So passersby can steal kidneys and sell them in the black market? Nina: Yeew Nana. No way. It was a mistake. 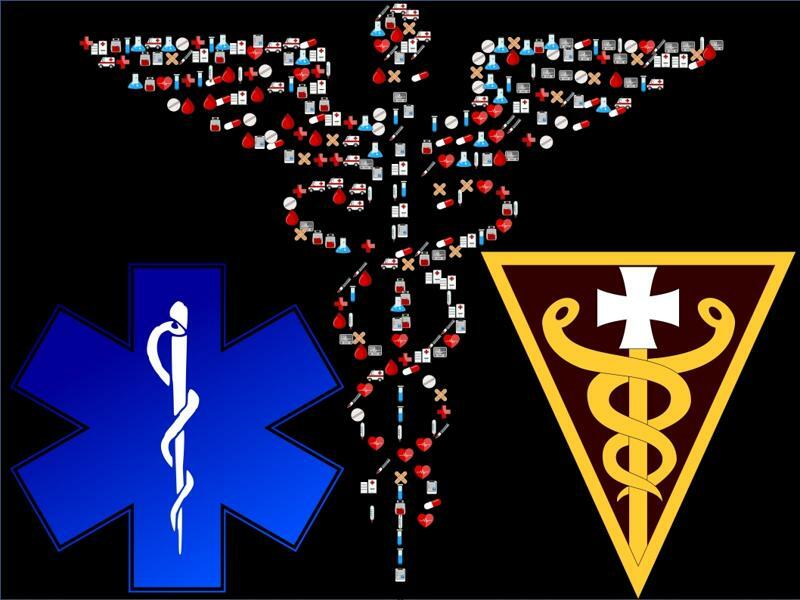 Some officer of the US army medical corps confused the caduceus with the rod of Asclepius, and that’s how it accidentally became a symbol of medicine, though it is usually used by commercial health care organizations while the rod of Asclepius is used by professional health care associations. Seems fitting doesn’t it since Hermes is the God of commerce? Nana: What on earth is the rod of Asclepius? And why should a rod be associated with medicine either? Did ancient doctors beat their patients into recovery? Hmm.. May be they had the right idea. Nina: Nana! You do have the most disgusting theories. No. Asclepius was the son of Apollo. He is the God of medicine and his daughter Hygieia is the goddess of hygiene. Nana: Okay so what’s with the rod? Has it something to do with spare the rod, spoil the child. Nina: Nana! Really! The rod of Asclepius has a snake because a non-poisonous snake licked his ear clean and taught him some secrets of medicine. The Greeks apparently revered snakes for their wisdom and powers of healing and resurrection. So the rod of Asclepius is a staff with a single snake entwined on it. There is also a non-poisonous Mediterranean snake named after him, called the Aesculapian Snake. Nana: Hey look at what I pulled up about the rod of Asclepius on Wikipedia. Apparently one theory is to cure Guinea worm a stick was used to pull out the worm from blisters where it thrived by winding the worm around the stick and the rod of Asclepius is a representation of the worm wound around the stick. And you think my theories are disgusting! Yuck. Nina: Your theories are disgusting, but you’re right. You have been outdone. Nana: Hmmph! Hermes did get that caduceus from Apollo, you know and Apollo is the God of healing among other stuff. So perhaps the caduceus is not the wrong symbol after all. Nina: How do you know that Nana? Nana: Perhaps you’re not the only one reading books by Rick Riordan. Nana: I have been reading the escapades of a certain whiny teenager names Lester Papadopoulos. Nina: Nana! 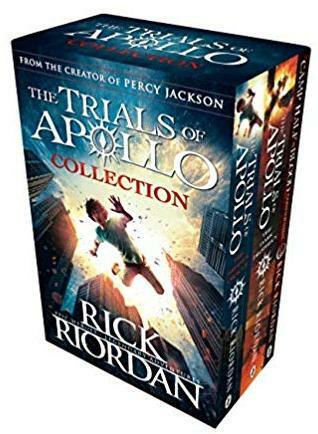 You have The Trials Of Apollo series! Can I have it? Nina: Nana please. Please, please please. Nana: Okay, maybe, if you give me 3 straight hours of peace and quiet every afternoon this week. Nina: Sure Nana. I know you’re going to be reading the Lester books in that time. Nana: Shoo! 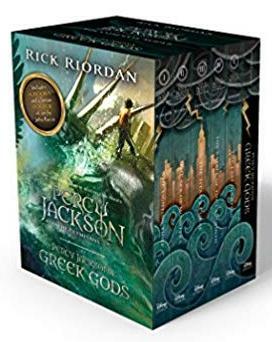 Now if you really want the books. Nina: I’m going. I’m going.